Suggest that your tot dress in a charcoal sweater and navy jeans for a laid-back yet fashion-forward outfit. This look is complemented well with Nike air max 270 sneaker from Nordstrom. Choose a grey sweater and navy jeans for your kid for a laid-back yet fashion-forward outfit. This ensemble is complemented well with Nike air max 270 sneaker. 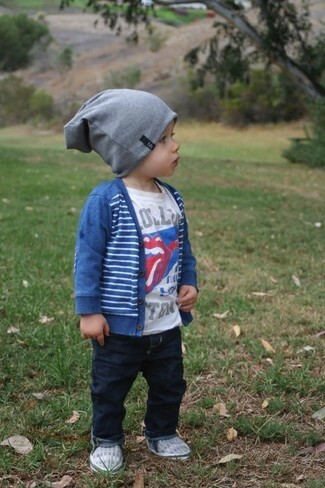 Choose a grey sweater and light blue jeans for your tot for a fun day in the park. 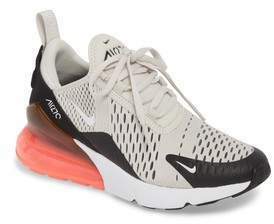 As far as footwear is concerned, suggest that your tot opt for a pair of Nike air max 270 sneaker from Nordstrom. This combo of a blue cardigan and navy jeans is both a comfortable and stylish choice for your darling. This ensemble is complemented perfectly with Nike air max 270 sneaker. 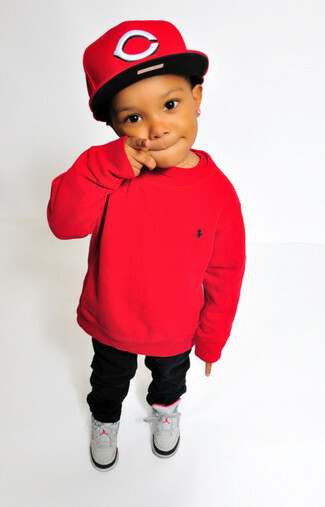 This combo of a red sweater and black trousers will enable you to keep your little angel's' style clean and simple. 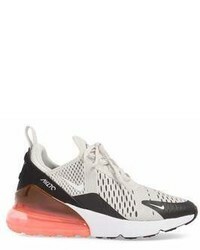 Nike air max 270 sneaker are a good choice to complement this outfit. People will drool all over your little guy if he is dressed in this combo of a white sweater and black jeans. Grey sneakers are a great choice to round off this look. 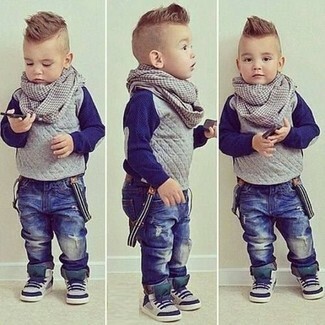 Suggest that your munchkin choose a grey cardigan and blue jeans to get a laid-back yet stylish look. 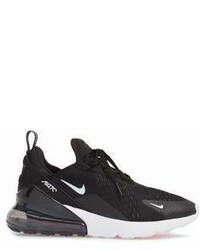 Nike air max 270 sneaker from Nordstrom are a wonderful choice to complement this look. 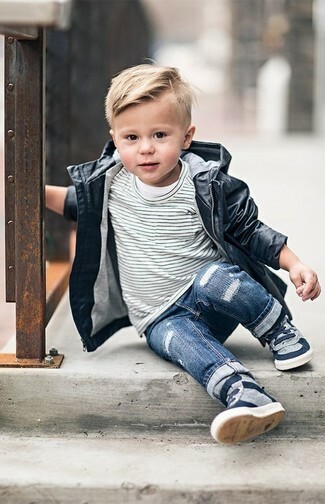 Suggest that your kid choose a black trench coat and blue jeans to create a smart casual look. This ensemble is complemented really well with grey sneakers. This combo of a navy horizontal striped sweater and tan trousers will enable you to keep your little angel's' style clean and simple. Finish off this getup with Nike air max 270 sneaker.